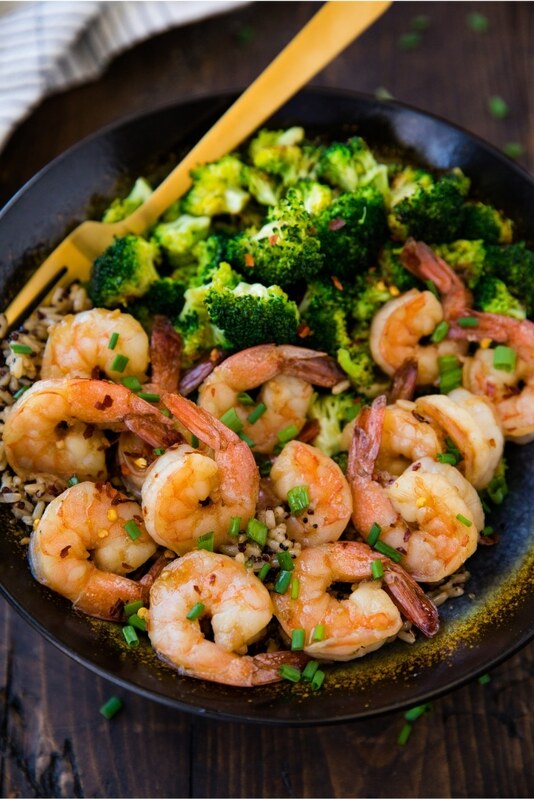 For a quick and easy weeknight dish, this Healthy Honey Garlic Shrimp recipe hits the spot! It’s sweet, savory, delicious and ready in just 20 minutes! Serve with brown rice and vegetables for a complete meal the whole family will love. 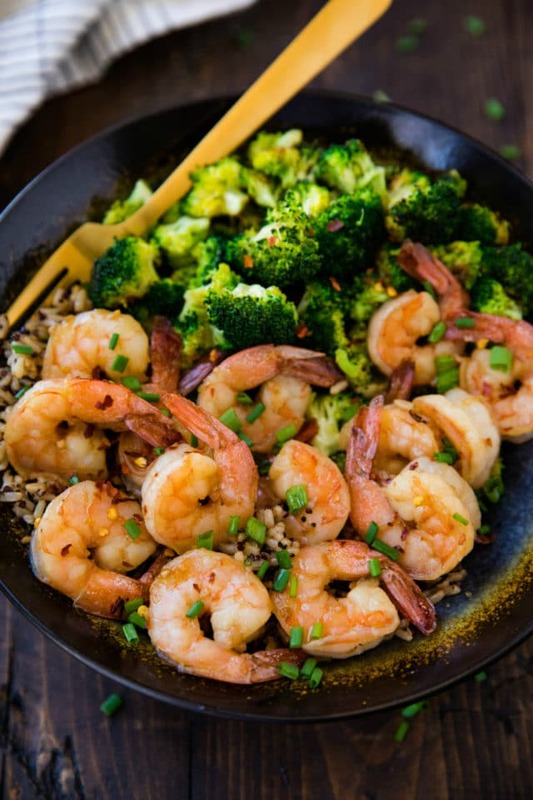 This Healthy Honey Garlic Shrimp recipe is all about the sauce. 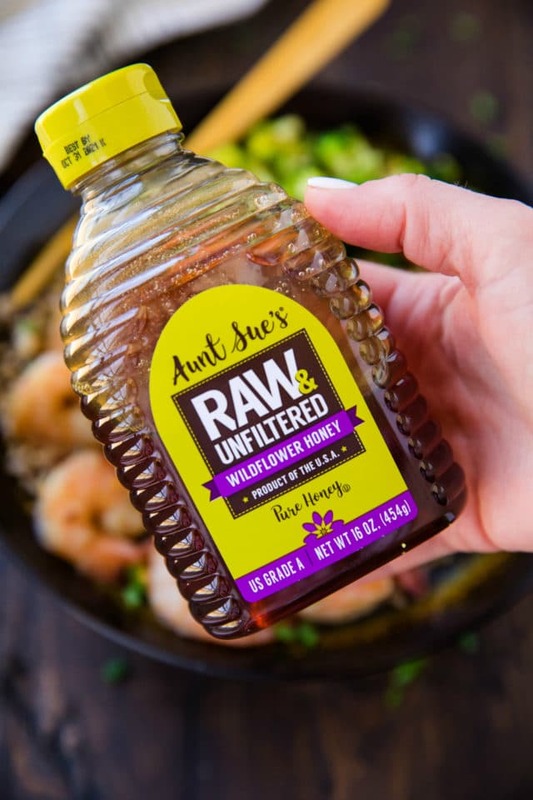 Just four simple pantry essentials in the right proportions – Aunt Sue’s Raw & Unfiltered Honey, soy sauce, rice vinegar and garlic. So easy and so good! If I’m making any recipe with honey, I’m sure to use honey products from the Sioux Honey Association Co-op, like Aunt Sue’s Raw & Unfiltered Honey. I love that Aunt’s Sue’s is a product of the USA, so when you buy Aunt Sue’s, you’re helping support the 250+ beekeepers across the U.S and the pollination efforts that beekeepers provide for most of the fruits and veggies we enjoy. It’s so important to be able to trust the products that you buy, which is exactly why my honey comes from Sioux Honey Association Co-op. 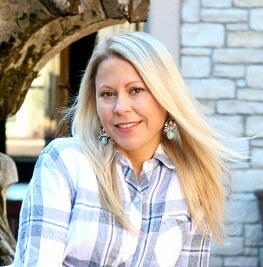 You can find their products in most major grocery stores or they are available online at www.siouxhoney.com. You can also watch the super cool story behind Sioux Honey products on the site. With the help of Aunt Sue’s Raw & Unfiltered Honey this shrimp sauce has a great depth of flavor that compliments this dish so well and it couldn’t be easier. Once it’s cooked with the shrimp and it caramelizes…. WOWEE!!! And I highly suggest serving the shrimp with your favorite rice variety because the sauce and the rice are a great combo. Start this recipe by preparing the marinade. So easy – simply mix the marinade ingredients in a bowl. I highly recommend a high quality honey like Aunt Sue’s Raw & Unfiltered Honey. 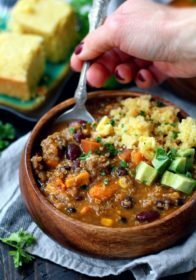 You can trust Aunt Sue’s is from a reliable source and it will add so much wonderful flavor to this whole dish. I like to buy deveined shrimp, so all I have to do is peel and I also like to leave the tails on, but if you prefer, you can remove them. Either add the shrimp to the marinade in the bowl and toss to coat or add the marinade and shrimp to a baggie with a zip-top and then refrigerate. I usually only marinate shrimp for about 15 minutes. Shrimp are delicate, so they don’t need much marinating time, but you can let the shrimp marinate all day long when you’re at work if that’s easier. The marinade serves 2 purposes – not only will the shrimp take a soak in it, but it’ll also be so tasty poured over your veggies and rice or whatever you decide to serve on the side. This meal moves very quickly! 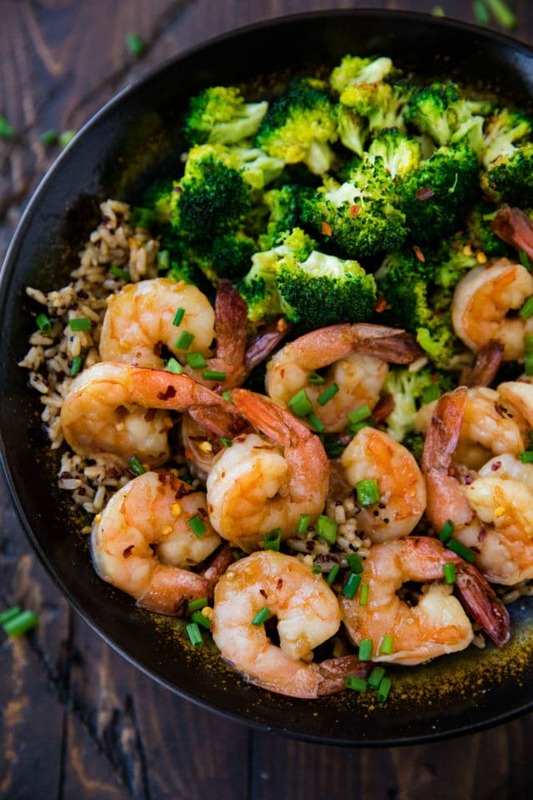 I would suggest cooking the broccoli while the shrimp is marinating. As for the brown rice, I like to use a packaged brown rice/quinoa option that can be quickly microwaved while the shrimp is cooking. Be careful not to overcook your shrimp! Shrimp cooks really fast and overcooked shrimp will pretty much ruin the meal. It’s rubbery, hard and no bueno in the flavor department. I have found that I enjoy this dish much more when I use fresh shrimp from the seafood counter. However, that doesn’t mean you can’t use frozen shrimp. You certainly can. Just be sure to thaw, rinse, and pat them dry before cooking. Be sure to scrape up all of the tasty caramelized bits of honey and garlic that stick to the pan and edges of the shrimp because YUM. 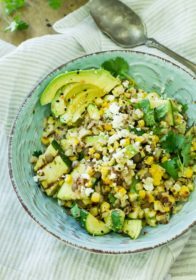 A flavorful, nutritious meal that’s ready in 20 minutes is hard to beat! I’m such a fan of an amazing meal like this one that require little effort but is restaurant quality. 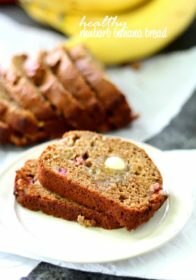 This will be a recipe that you will want to make again and again! For a quick and easy weeknight dish, your family will love this Healthy Honey Garlic Shrimp recipe! It's sweet, savory, delicious and ready in just 20 minutes! Serve with brown rice and vegetables, grill on skewers, or serve over a salad. 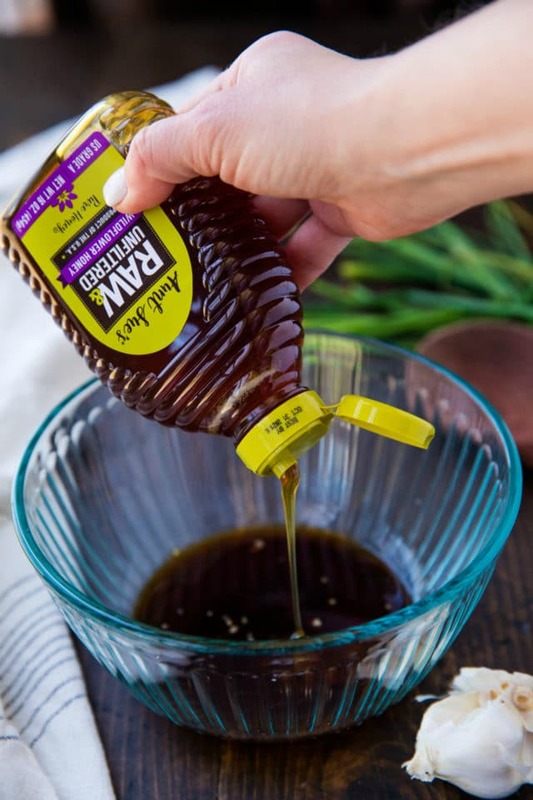 Whisk the honey, soy sauce, rice vinegar, garlic, and ginger (if using) together in a medium bowl. Place shrimp in a large baggie with a zip-top or other container with a lid. Pour the marinade mixture on top and shake or stir to coat the shrimp. 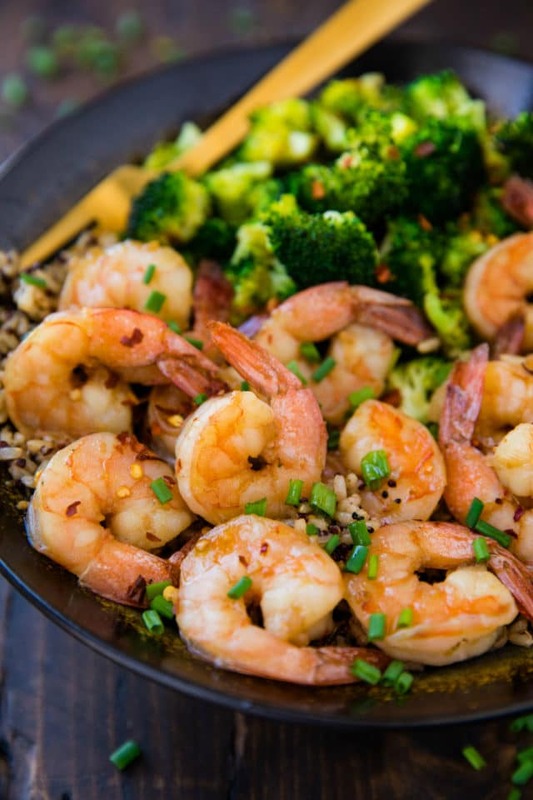 Allow shrimp to marinate in the refrigerator for at least 15 minutes or up to 12 hours. To save time, while the shrimp is marinating, cook veggies and rice or whatever side you'll be making. 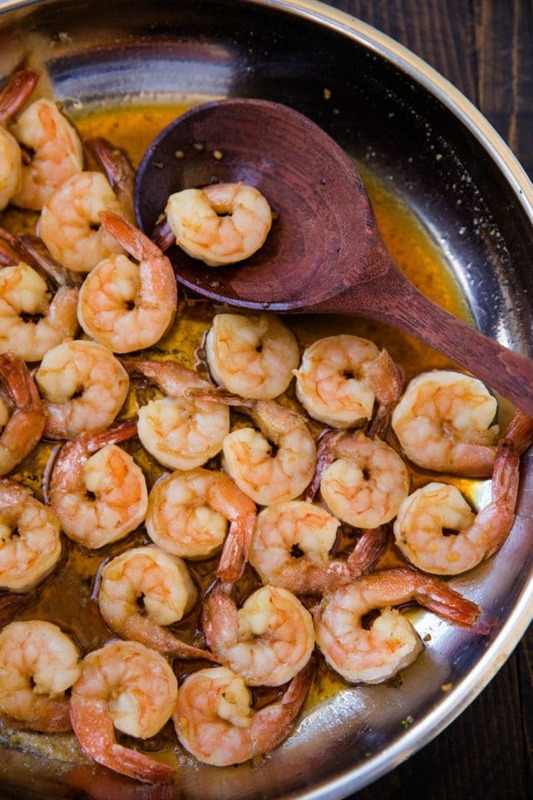 Once shrimp has had time to marinate, heat olive oil in a skillet over medium-high heat. Transfer shrimp and marinade into the skillet. Cook shrimp on one side until pink– about 45 seconds– then flip shrimp over and cook until shrimp is cooked through, about 1 minute more. 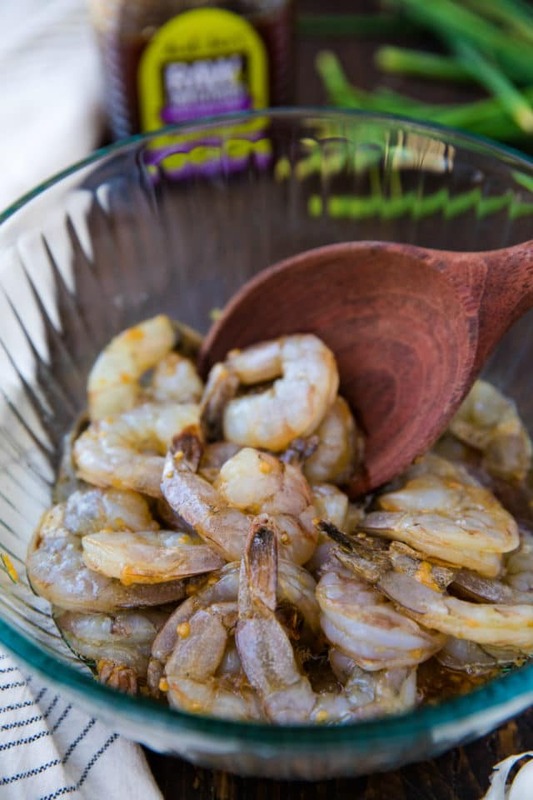 Serve shrimp and marinade sauce with a garnish of green onion and red pepper flakes. The sauce is great with brown rice and steamed or roasted veggies on the side. Shrimp: You can remove the tail or leave it on. Whatever’s easiest! I recommend using fresh shrimp, but you can use frozen. Thaw before marinading and cooking. If using frozen cooked shrimp, thaw, marinate, and cook as directed. You’ll really just be heating the shrimp up in the sauce. Loving the combination of honey and garlic! I bet it tastes amazing with the sweet honey and fragrant garlic. I know my husband would love this dish, so I’m going to make it for him ASAP! My husband loves shrimp. In fact, if he’s having a bad day, just making a shrimp dinner makes his eyes light up like a kid in the candy store. Saving this, he will definitely love this. 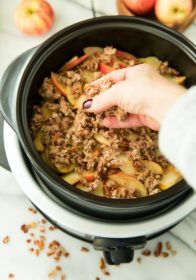 I bet this dish smells so good!This recipe sounds so tasty! Oh my word! That shrimp looks amazing! 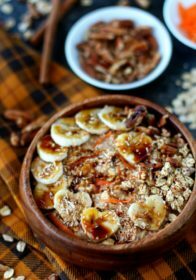 I love the idea of the sweet caramelized honey! I’m having a hard time getting my fork through the screen, Kim. This is such a glorious dish, it’s making me hungry. Love the sweet touch in the sauce with that honey, too! A keeper! 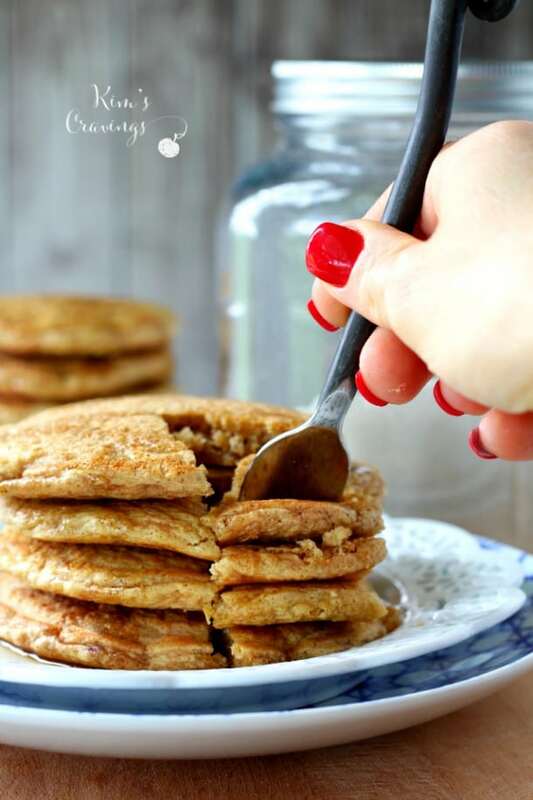 An easy and delicious recipe, Kim! 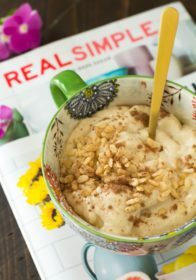 Love that you used raw honey, it’s all we use in my house! Oh I love using sweet and salty ingredients in a sauce together! So delicious!